The revolutionary new and lighter platform, combined with the Ergolock System, maximizes control in any condition, making the RXT-X the new benchmark for rough water performance. With the 300-hp engine, 60 mph (96 km/h) is just a few seconds away. ERGOLOCK SYSTEM WITH MODULAR SEAT: The narrow racing seat places your knees closer together to hold on tighter while improving the transition into standup riding. Plus, the removable rear seat gives you even more space for hanging out on the rear platform, sunbathing or a face-to-face picnic. LARGE SWIM PLATFORM: The first watercraft to hang out on the water with the largest swim platform in the industry. Flat, stable and comfortable, it is ideal for re-boarding, lounging, and prepping for tow sports. Create even more space by removing the rear seat. REAR CARGO LINQ SYSTEM: Extra rear storage is now possible with the secure Quick-Attach LinQ System. It allows to easily snap a fuel caddy and a bag, or a cooler, to the back of your watercraft using two convenient, integrated attachment points. ROTAX 1630 ACE ENGINE: Supercharged with an external intercooler, the Advanced Combustion Efficiency (ACE) technology delivers high efficiency and amazing acceleration. 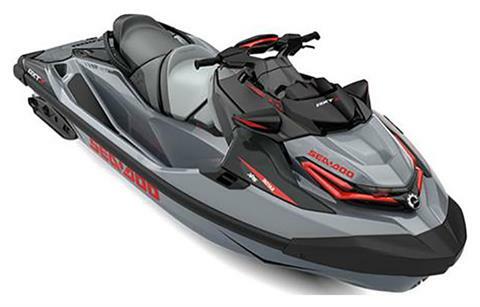 This is the most powerful engine on a Sea-Doo producing a thrilling 300-hp. X PACKAGE: Add on the performance package. With X-Sponsons for cornering stability and our innovative ErgoLock System featuring a narrow racing seat, specially angled footwell wedges and adjustable X-steering, you and the machine become one. 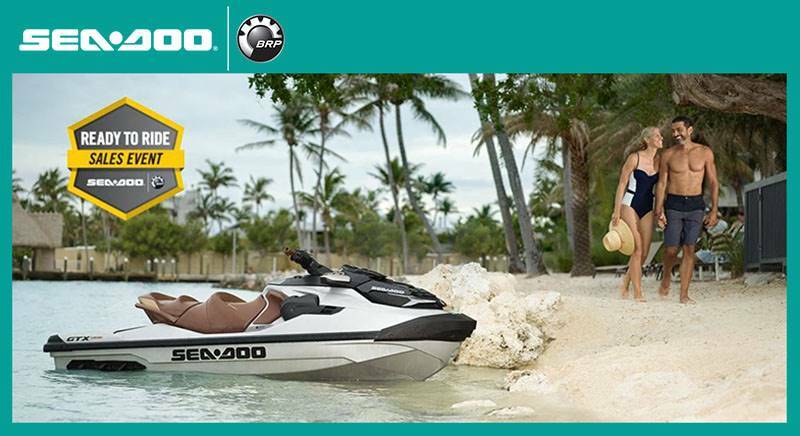 INTELLIGENT THROTTLE CONTROL: Choose how you want your power delivered thanks to different riding modes such as Touring, Sport, and ECO - available through your watercraft digital information center. VTS™, Fuel level, Tachometer, Speedometer, Hourmeter, Compass, Clock, Touring mode, Sport mode,ECO mode, F-N-R indicator and more.